It's Ria here today. Can you believe we're already half of January 2014? 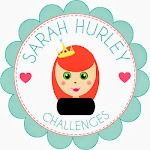 I hope you are all having a great time getting inspirations from the new Sarah Hurley 365 blog. I'm amazed with the mix of talents being shared here. 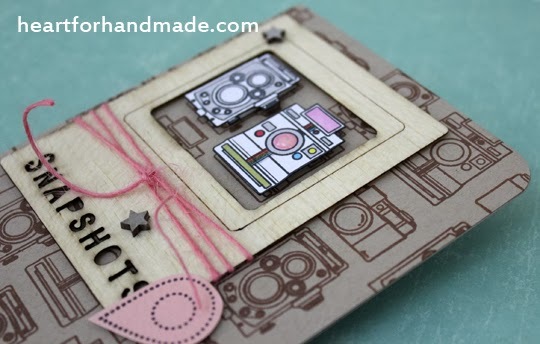 For today, I'm sharing my card project using one of my favorite mini vintage camera stamps from Sarah's kits. I have used these cameras in a number of cards already and still can't get over it til now. Maybe because I love photography and camera images just keep me close to this hobby of mine. To start off, I alternatively stamped the cameras on a kraft card stock, that plays as my card background. I then stamped another set of the cameras and colored them with promarkers, then fuzzy cut them to be used as my card's focal point. 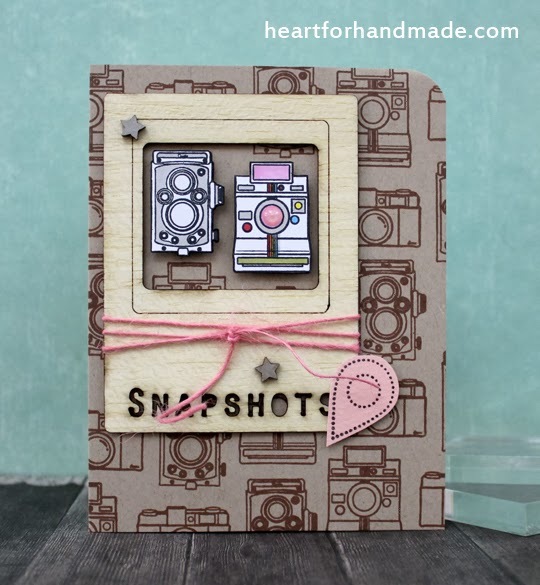 To ground the set of cameras, I used the wood veneer frame and oh the vintage camera came from Sarah's A Few of my Favorite Things Kit. The other polaroid camera I also got from Sarah's add on kit too. That open frame just fits two of the cameras in place and I popped them up using dimensions. I stamped the geotag from Stamp & Stitched! 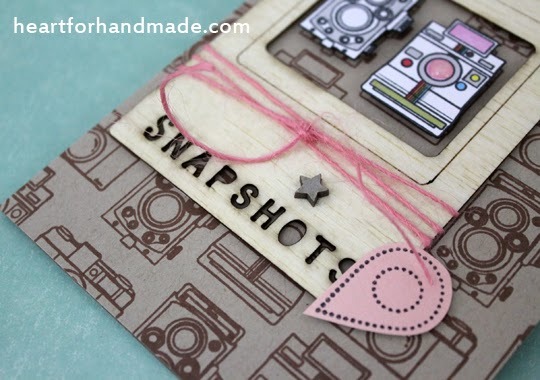 Expedition stamps while the pretty in pink twine is from the East Village kit. I added the chipboard stars from Sarah's kits as well. Have a great weekend everyone and I will be back soon for another project soon. This is gorgeous Ria, love those colours.